← The Western Wall is a site for all Jews! This past weekend I attended my elementary school reunion. That’s right, elementary school. 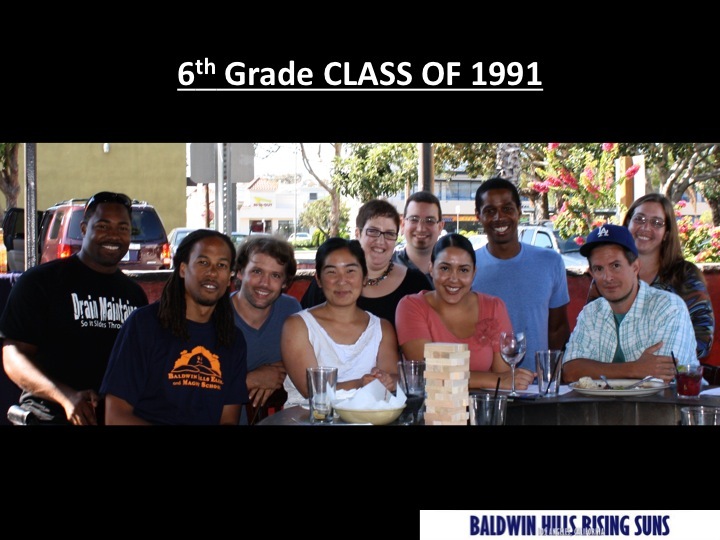 I attended Baldwin Hills Gifted Magnet for all six of those years (until we moved from LA to MN). Thanks to the magic of Facebook. one of my classmates got enough of us together to make this amazing reunion happen! Many people seem surprised that there could be a reunion from a LAUSD school. My class was different. Because we were in a gifted magnet program in a school essentially I went through every year with the same students. 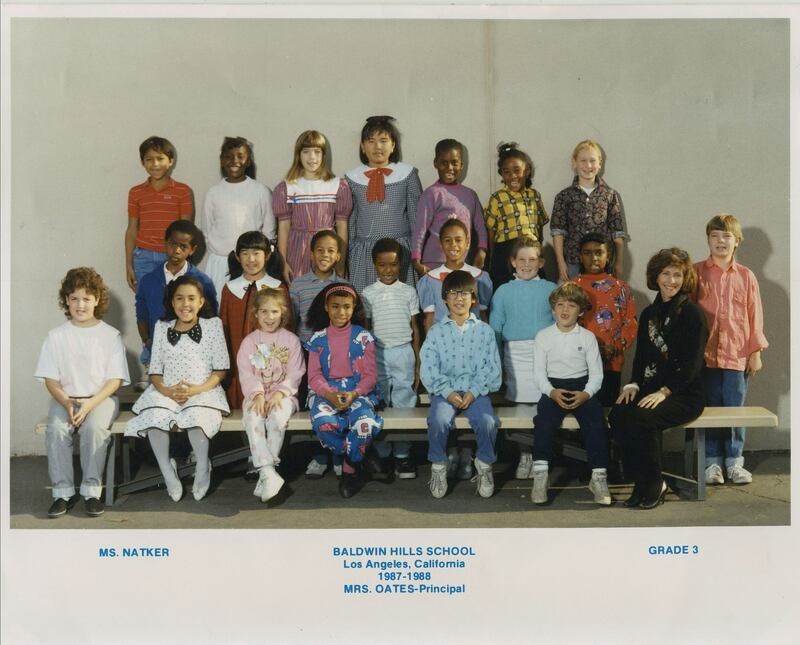 I believe in fourth and fifth grades we were in split classrooms but otherwise, many of the people in the picture to the left I knew for a long time! Baldwin Hills was a really special place. Celebrating multiculturalism was a tenet of the school. We celebrated everyone’s holiday. We learned and performed an Irish jig, a Mexican dance and celebrated MLK day annually. Sitting around the fire pit at the reunion all of these years later, it was fascinating to hear how our collective experience at Baldwin Hills impacted our lives. We all feel so comfortable in multicultural settings. I am so grateful that I got to attend this school. Grateful that one of my classmates organized this amazing reunion and that I got to be there! I am proud that each of these people were my classmates. What was your elementary school like? This entry was posted in Uncategorized and tagged education, family, memories. Bookmark the permalink.